Are you new to Christianity? Have you ever wondered what the Bible really says? Are you curious about what people from various Christian denominations believe? Then this is the class for you. 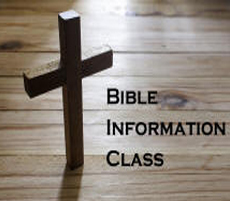 Bible Information Class is a survey class that introduces participants to the Bible. It introduces you to the true God. it reviews key events in history – creation, the promise of a Savior, Christmas, Easter, and Pentecost – and then ties it all together to explain what it all means. You’ll even learn about Baptism and Holy Communion, and about the life God intends for you. The Bible is our textbook. You won’t need any course materials – they’ll be provided. Want to learn more? We’ll be happy to answer your questions, or register you for an upcoming session. For information please contact Pastor Koelpin. 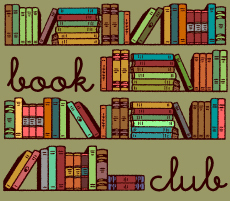 Enjoy being a part of our Book Club adventure. The goal of this group is to foster Christ-centered relationships among women of various ages, talents and interests. “The Bookworm Ladies” meet every third Thursday of the month in the relaxed environment of members’ homes or a favorite local coffee shop. 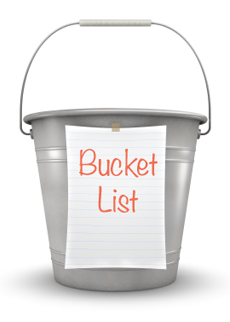 The Bucket List was started as a fellowship group for older members of Living Savior but has grown into a ‘Come one, come all and join us’ group. 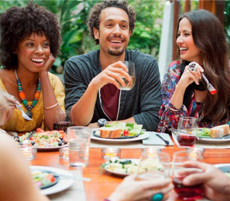 This group meets for food, fellowship and fun, the third Friday of the month for lunch. They meet mostly at local restaurants. There are no formal requirements or reservations. Please consider joining The Bucket List group and becoming better acquainted with Living Savior members in a relaxed and comfortable setting. If you have questions or desire more information, please email JoAnne at Fluffsgram@hotmail.com. See you soon! 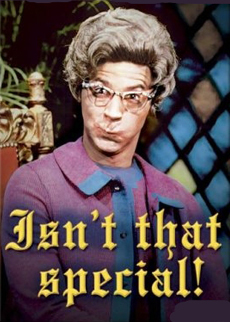 On Saturday Night Live a comedian poked a little fun at “Church Ladies” with the comment “Isn’t that special?”. This group adopted the name Church Ladies as a reminder of how special God’s work is. Not only is it special, it is the most important work we can ever do. The Church Ladies help support God’s workers here at home and across the world with offerings, cards, letters and prayers. A portion of the offerings is sent to the Lutheran Women’s Missionary Society (LWMS). The Church Ladies enjoy sponsoring bake and craft sales, ice cream socials and dinners – all of which help to build and strengthen relationships within Living Savior. God’s work is varied and very, very special. 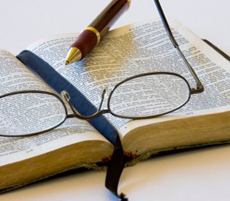 Titled “Finding Your Way Through the Bible”, these classes are a comprehensive and systematic study of the holy scriptures, from Genesis through Revelation. The study tracks mankind’s need and God’s promise of a Savior, the birth, life, death and resurrection of this Savior, God’s son Jesus Christ, and the spreading of the good news of this Savior by the apostles. The class is taught by Pastor Koelpin, who carries a BA and MDiv, and meets Friday mornings, 10:30 am to noon in the church basement. Having recently finished the Old Testament, the class is currently studying a harmony of the historic gospels. All a participant needs to bring is a Bible and, if they desire, some note paper. Pastor Koelpin utilizes helpful handouts and teaching aids during the class, including maps, timelines, lists of important people and events and other reference materials that help the students understand the context and historical settings. There are numerous opportunities for questions an comments from the participants. Also, the classes are designed such that an individual may start at anytime or miss some classes because of personal schedule conflicts without feeling behind. This Bible class is also an excellent supplement to weekly worship services, Sunday morning Bible class and personal and devotional Bible studies. For more information, please contact Pastor Koelpin. The Larger Lambs group was created to allow our church members in their 20’s, 30’s and 40’s to get to know one another better outside of Sunday morning. God has designed us to enjoy Christian community, both in and outside of the church walls. When we gather in groups with a shared mission to connect to one another, to grow in our relationship with God, and to serve others – God accomplishes amazing things! And, we’re pretty good at having fun while we do it. Here you will find a place to connect, belong, and grow in your relationship with Christ and with one another. We have a variety of things we do: spend time eating meals together, going to the movies, a baseball game, having holiday parties, etc. We rotate meeting in each other’s homes and coordinating events in order to let those who are able practice the sweet gift of hospitality. We hope you join the fun! The word Lent comes from an Old English word for Spring (“lengten,” the time of the year when the days grow longer). For the last 1700 years, the Church has set aside the 40 days between Ash Wednesday and Easter as a time of special preparation. It is a time of repentance and renewal. 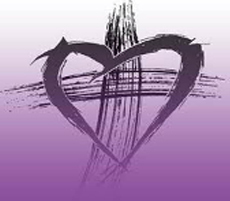 On the Wednesdays of Lent, Living Savior offers a special opportunity to gather around God’s Word. At 7 pm, you are invited to gather with other believers to hear the passion history of our Savior and a short devotional message based on a specific theme. This year’s theme: Our Saviors Hands. The service typically lasts about 35 minutes. To make this opportunity as convenient as possible Living Savior offers a pizza supper at 6 pm for all worshipers. For more information please contact Pastor Koelpin. The ladies of Living Savior help spread the love of Christ at home and abroad by actively supporting our Lutheran Women’s Missionary Society (LWMS). 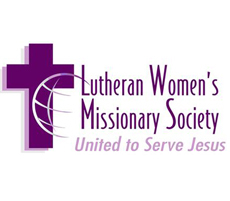 The LWMS is a synod-wide organization of women, dedicated to serving Jesus by increasing awareness of, interest in and support of the mission outreach of the Wisconsin Evangelical Lutheran Synod (WELS). All women who are members of a WELS congregation can become an active part of LWMS. On-going information about selected World and Home missions is provided by the LWMS Central Office to local congregations. The specific needs of these missions gives us opportunities to prayerfully support them in various ways. There are 61 local Circuits and almost 800 member congregations in the U.S. and Canada. Hundreds of women attend an annual LWMS convention and local circuit rallies to hear missionaries share their experiences and needs. All member congregations of LWMS have been “United to Serve Jesus” since 1963. To learn more about LWMS and its organization go to www.lwms.org. 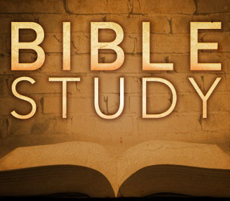 If you are looking for Bible Study that doesn’t require a significant amount of background but covers some weighty topics then this is the class for you. As Living Savior’s best attended class, this study offers the opportunity to participate at your own comfort level. Ask and answer questions or sit back and absorb. It’s your choice. This class meets every Sunday morning in the sanctuary. If you come early, you’ll find friendly people and a warm welcome as you enjoy coffee and refreshments in the lobby. The class is taught by Pastor Koelpin. For information please contact Pastor Koelpin. 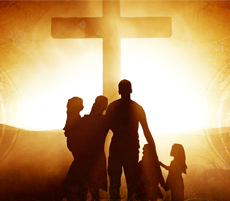 Worship of our Living Savior, Jesus Christ, is the focal point of everything we do. Our doors are open to everyone – all are welcome! You can expect to meet God, especially through our Living Savior, Jesus Christ. You can expect to meet friendly people, engage in accessible worship, listen to a message that matters, and connect with a God who wants a relationship with you through the forgiveness of sins. Living Savior celebrates the Lord’s Supper on the first and third Sundays of the month. We practice closed communion so we kindly ask that you please speak with the pastor beforehand. The services typically last about 60 minutes.